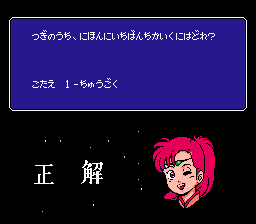 In November 1990, the National Tax Agency of Japan held an event called “The Week to Understand Taxes”, which included several exhibitions and offices around the country. 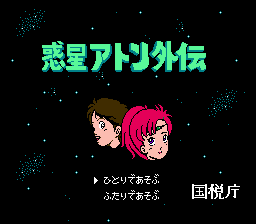 In order to appeal to children, the government commissioned a short anime video called Wakusei Aton (“Planet Aton”), along with an accompanying video game, Wakusei Aton Gaiden. 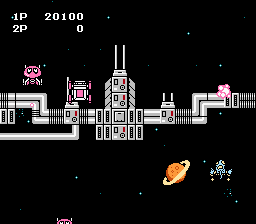 The backstory for the game is that aliens, led by the evil King Quizzer, have attacked this planet and stolen their tax dollars, sending society into ruin. 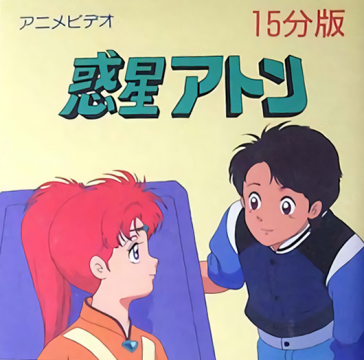 Kanta, an Earthling boy, teams up with Yuri, the princess of Aton, to hop in a ship and get back those funds. At the outset, the game looks and feels much like a Star Soldier game. 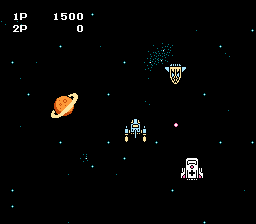 There are occasionally some other friendly ships that fly out, which will either dock with you to provide extra firepower, or repair your damaged ship (as in TwinBee). However, at regular intervals, the action will stop and you’ll be asked various multiple choice questions on taxes, the Japanese economy, and so forth. There are about a dozen overall, and after eight minutes or so, your results are tallied up and displayed along with your score, which tabulates how much of Aton’s tax dollars you’ve regained, and gives a small message of what they’re used for (police, senior citizen care, science and research, etc.) Then the game restarts. 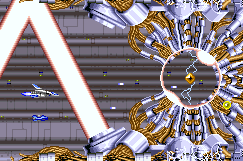 Technically you can’t even lose, as your ship can become damaged to diminish its speed and firepower, but can’t be destroyed. As far as edutainment goes, this is a really cool idea, even if, like all edutainment, the “educational” part feels tacked on. 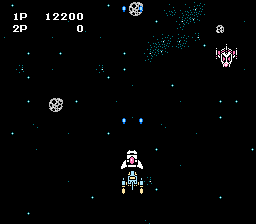 Still, the actual shoot-em-up section, thin and easy as it is, is fairly decent, and there are much worse examples out there. 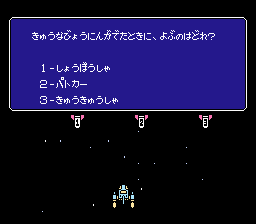 Since it was created solely for this event, neither the game nor the anime video was ever commercially sold, which has made both of them collector’s items. (There’s no official art for the FDS game, so the above image is from the VHS cover. However, there are some homemade cartridges, complete with boxes and manuals, that have shown up on the internet.) 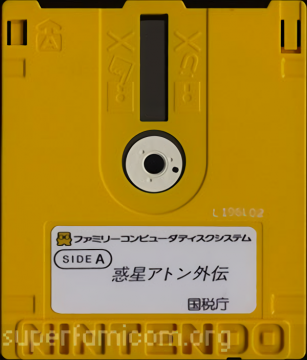 Though the development of the game is shrouded in mystery (one Japanese site speculates it was done by Bothtec), it was almost definitely created for the Famicom Disk since it’s just most cost-effective – duplicating disks, especially for the limited use of this game, is much cheaper than cartridges, and even the Famicom (and disk attachment) was much cheaper than computers at the time. Quite the smart use of tax dollars, befitting of an educational program like this. Incidentally, this was released just before the collapse of the Japanese bubble economy, so it exists as a remnant of better economic times. 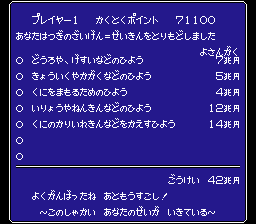 This review is from The Complete Guide to the Famicom Disk System. 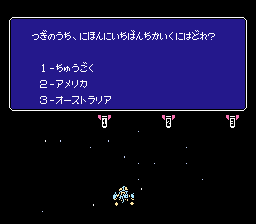 Please check it out if you want to read about more obscure RPGs and numerous other Japan-only games. Currently available for cheap in the latest Storybundle!